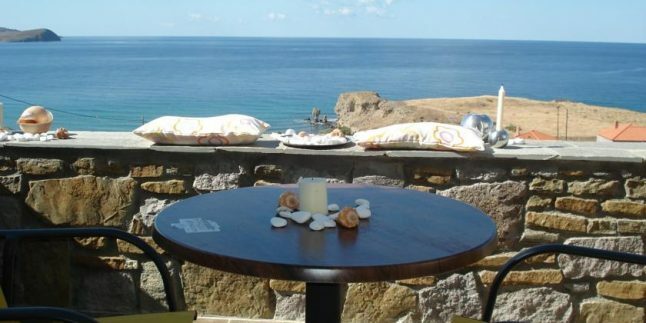 Within 150 metres from Agios Ioannis Beach in Limnos, the traditionally-built Edem Studios offers self-catering accommodation with a private balcony overlooking the Aegean Sea. Offering free Wi-Fi throughout, the property features a stone-paved sun terrace with BBQ facilities. Decorated in lively colours and modern furnishings, the studios of Edem have a seating area and a kitchenette with dining area. Each air-conditioned unit is equipped with a fridge, cooking hobs and an LCD TV. The private bathroom comes with shower. Restaurants and mini markets can be found within a short walk from Edem Studios. Myrina Town and Port are at 6 km and Platy Village is 12 km away. Limnos International Airport is at 17 km. Free private parking is possible on site.